In the second part of my cafeteria guide (go to Part I: Business School), I will introduce cafeterias that are located near the Engineering Building I. No matter whether you are majoring in engineering or not, you might attend classes at this building as a variety of classes are held there. 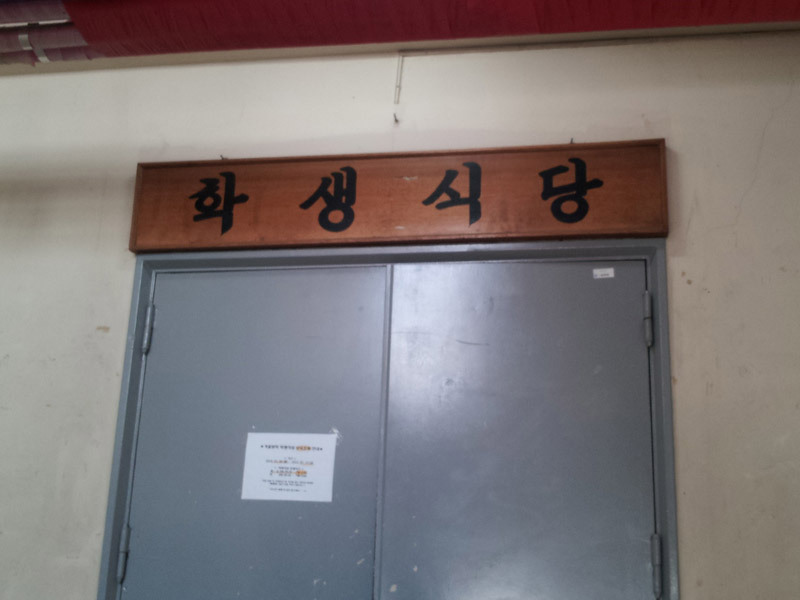 The name of this cafeteria already shows that it is customized for students! It is located in the Hanyang Plaza building, the building next to our Lion sculpture (“Aegimoon)” in front of the subway station exit #2. If you are at the Engineering Building I or main library (Paeknam Library, at the highest allevation among our Hanyang University, located behind the Engineering Building I), you can go downhill to the College of Social Sciences (on the right side). 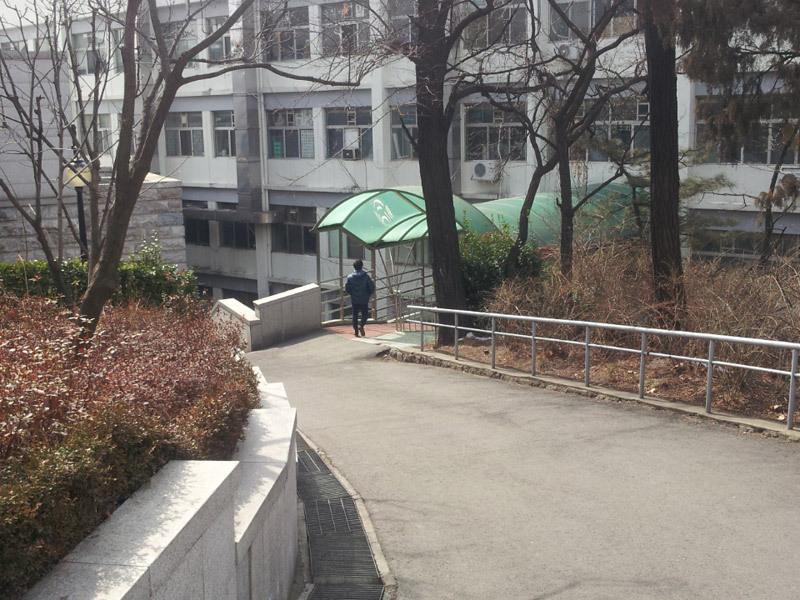 In front of the college, you will face the so-called “88 stairs” on the right and another pathway on the left. 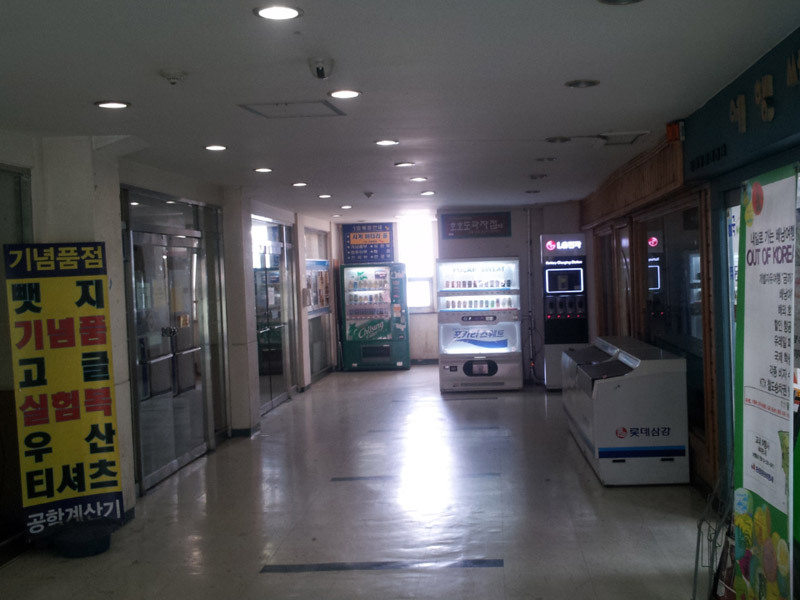 It leads to the building in which the “Cafeteria for Students” is located (entrance on the right). At the entrance, you can find the menu board and a receptionist. The prices are reasonable, ranging from 1500 KRW to 3000 KRW. Unfortunately, you are not allowed to pay by credit card at this cafeteria, so make sure to have cash with you! Although its purchase system is more or less inconvenient, it provides a variety of menus and even Korean people are struggling to choose what to eat! After you buy a ticket, you should pick up your plate, spoon and chopsticks. There are two types of plate depending on the menu you choose. Then you can simply wait in a line at the serving counter. Here’s another sad story for students. 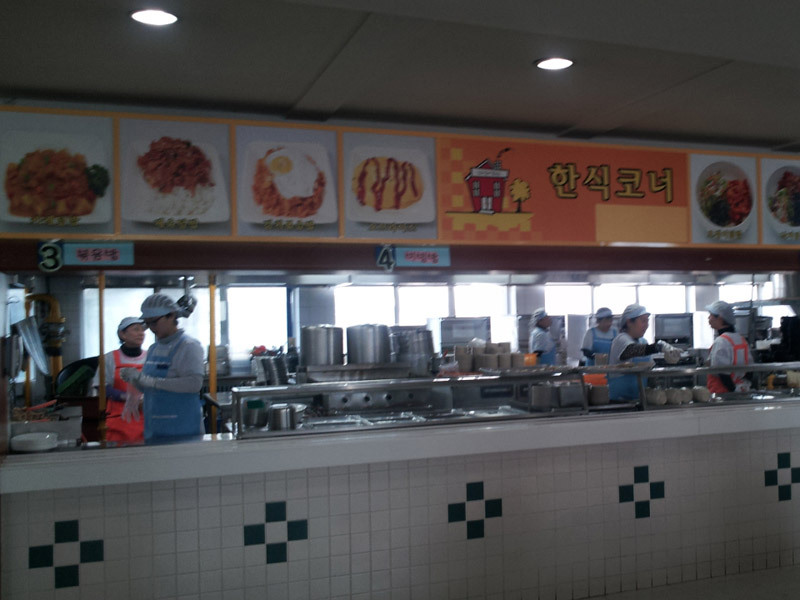 Due to the variety of menus, this cafeteria has seven or more serving counters and there many students who are waiting to be served. Accordingly, it is can be quiet hard to figure out at which serving counter you are supposed to wait. Basically, they distinguish between sections by type of food, such as soup, rice dishes, snacks. However, it is very tough to clearly distinguish this, even for Koreans. So, usually, I simply ask the serving counter receptions where to wait for the dish I ordered. You better do so too until you are adapted to this cafeteria. After you get your food, you can sit pretty much wherever you want as the cafeteria provides plenty of seats. 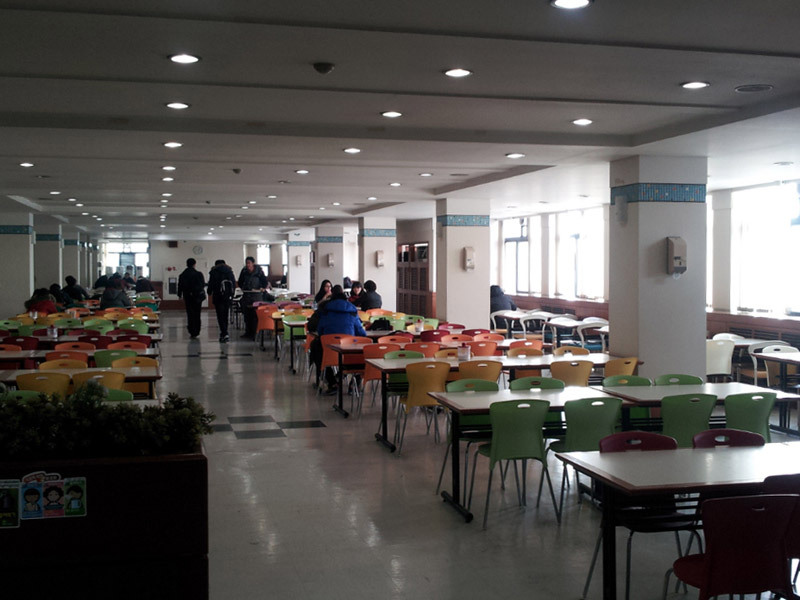 However, during lunch-time many students eat over here, so it may get packed up in peak times.